Get the most from your medical benefits! Cigna and UPMC offer resources through their websites to compare pricing on services that may apply toward your deductible. View the pamphlets below for details on how these tools can save you money! 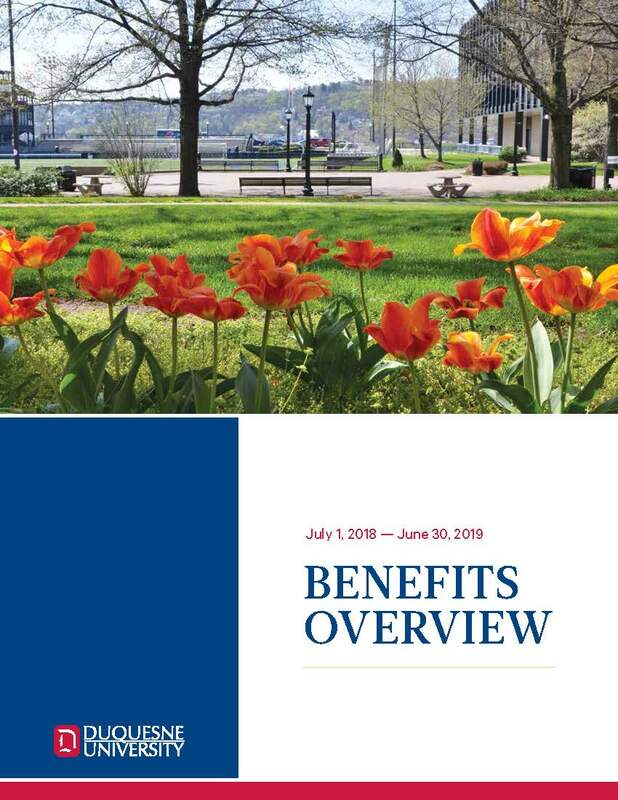 Duquesne University offers a comprehensive benefits package designed to provide a variety of choices to best fit your needs and the needs of your family. Benefits offered include medical, prescription, dental, vision, medical spending accounts, dependent care spending account, life, accidental death and dismemberment, and long term disability. Whether you're moving across the street or across the country, Coldwell Banker offers many services to simplify the process! You may even be eligible for a rebate on your closing costs! More information. Eligible employees can select or manage their benefit elections at any time by clicking on the above icon. First Time Users: your username is your MultiPass Username and your Password is the last four digits of your social security number. WANT TO SAVE TIME AND MONEY? THEN TELEMEDICINE MAY BE FOR YOU! Telemedicine is a convenient and affordable option that allows you to talk with a doctor 24 hours a day, 7 days a week who can diagnose, recommend treatment and prescribe medication (when appropriate) for many of your medical issues. Individuals enrolled with Cigna OAP and UPMC EPO have a $5 copay. Individuals enrolled with the high deductible health plans (HDHP) usually pay approximately $42 per visit until they meet deductibles/ coinsurance as outlined in the Benefits Booklet.